Jack fell down and lost his crown . . . and Joe Dumpty, Private Investigator, is hot on the case to find it. 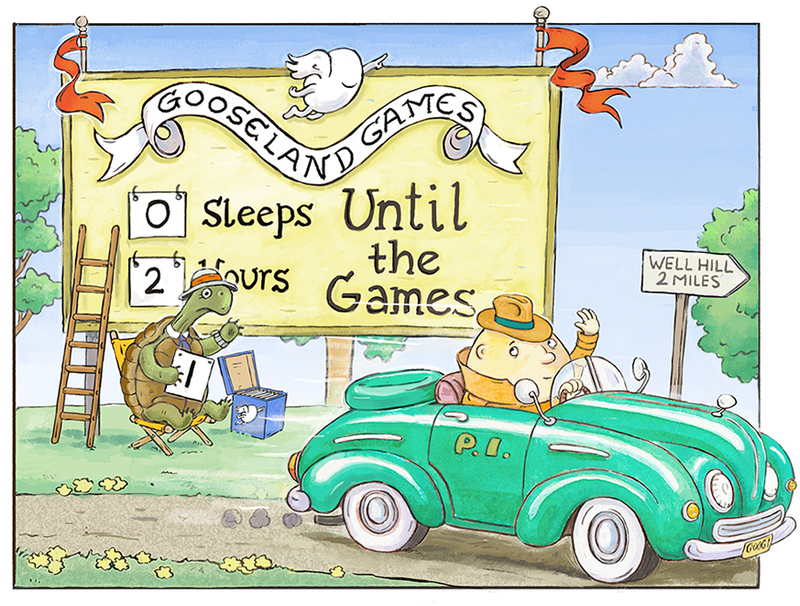 Mother Gooseland is buzzing with preparation for the upcoming Gooseland Games and with the crown being first prize, Joe needs to crack the case before it’s too late. With his detective notebook in-hand, Joe rolls through town questioning possible suspects. Will P.I. Joe be able to solve the case and return the prize crown before the Games? 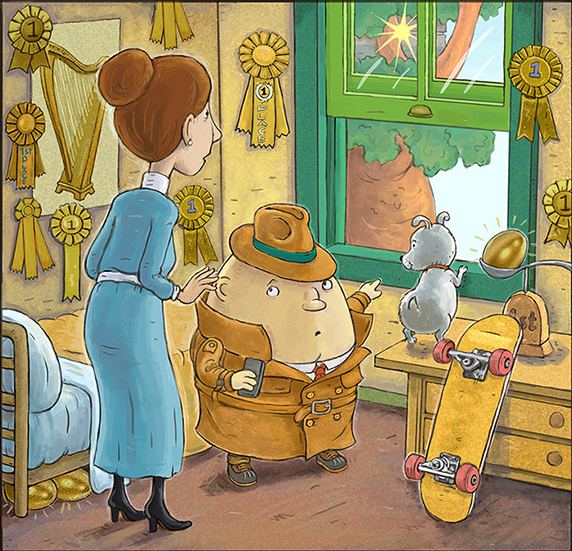 Full of puns and references to classic nursery rhymes and fairy tales, this sequel to What REALLY Happened to Humpty will entertain children and adults alike. 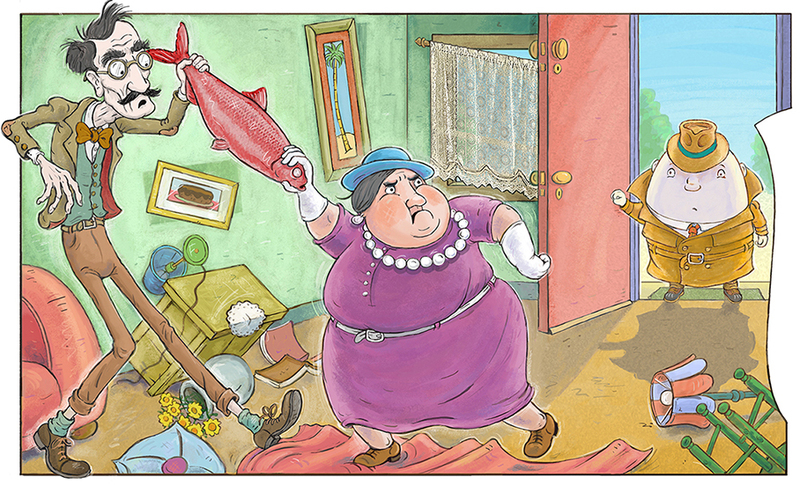 Illustrations by Stephen Axelsen (that's me!) provide a hilarious and detailed accompaniment to the story.